Buy the online ticket, save 1 euro and skip the line! 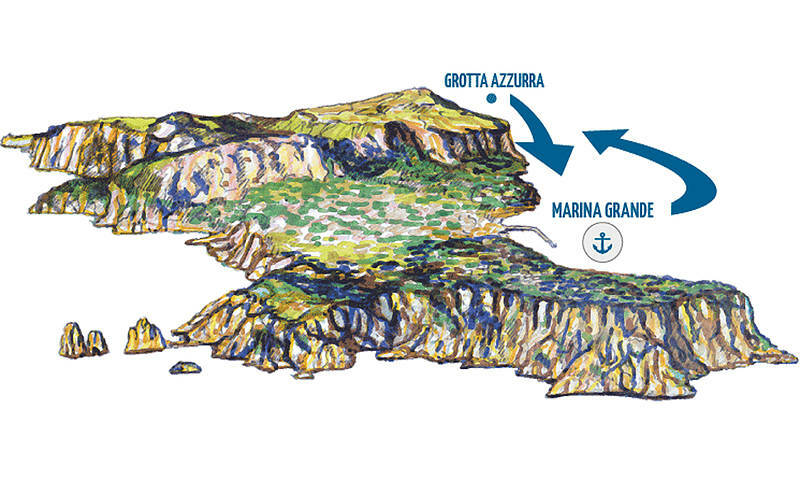 Our service includes transportation from Marina Grande to the Blue Grotto and back. Entrance ticket of the Blue Grotto by rowboat. Visits inside the Blue Grotto are managed by another company and tickets must be purchased separately for € 14.00 (the Blue Grotto is a museum, so the ticket must be paid at the entrance). 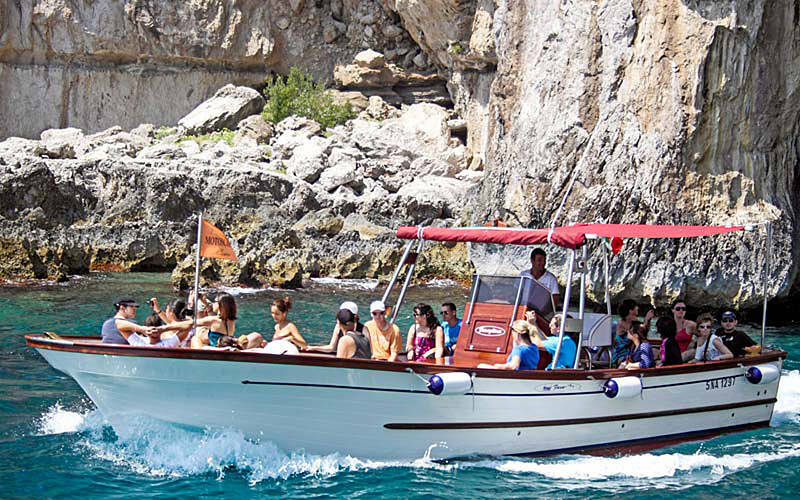 IMPORTANT DISCLAIMER: PLEASE NOTE THAT THE ROWBOAT SERVICE TO ENTER THE BLUE GROTTO IS NOT MANAGED BY OUR COMPANY, THEREFORE WE ARE NOT RESPONSIBLE FOR IT. 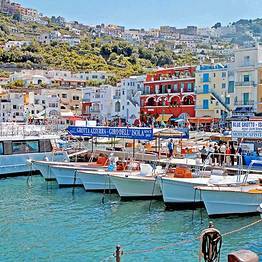 Show up at dock N.0 in the Port of Capri with the ticket, from 8:30 untill 13:00, you will board on the first Blue Grotto boat available! This ticket is valid as a Transport Document. 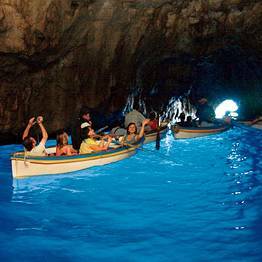 PLEASE NOTE THAT THE ROWBOAT SERVICE TO ENTER THE BLUE GROTTO IS NOT MANAGED BY OUR COMPANY, THEREFORE WE ARE NOT RESPONSIBLE FOR IT. Online tickets are valid for three days from the date you decide and it is only refundable due to adverse weather conditions. 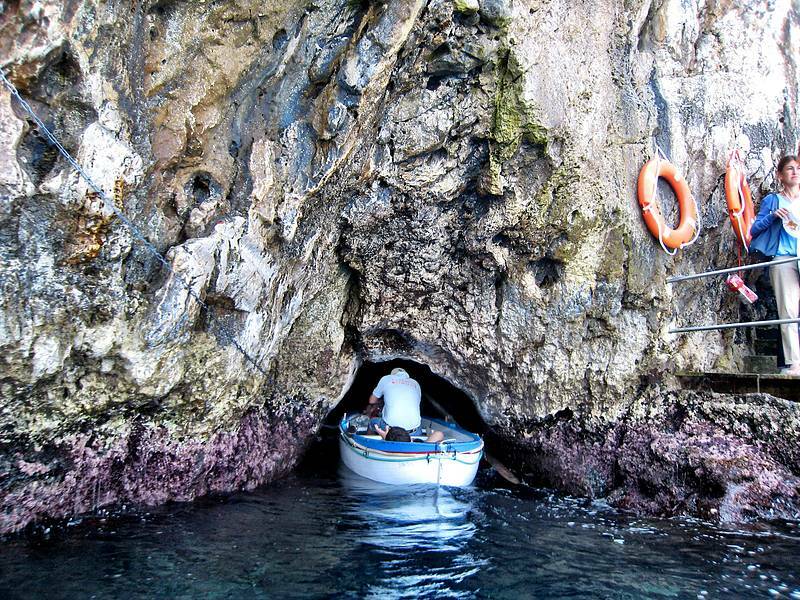 Ticket of entrance by rowboat in the Blue Grotto not included. 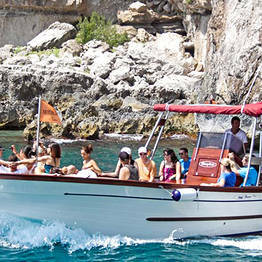 The transfer duration to Blue Grotto and back is about one hour, during high season, or whenever the weather and sea condition are not ideal, the waiting time to enter in the grotto may increase. No refund if the Blue Grotto is not accessible due to sudden force majeure. "Brilliant! Worked great. Ordered on internet, printed the voucher, and everything worked just fine and smooth." "Great tour! Highly recommended! " "We had a great time, our guide was great and the island certainly didn't disappoint. The wait to enter the grotto azzura was quite long (especially since we were out in the noon sun) highly recommend"
"Visiting the Blue Grotto is a must if you are going to Capri. Book online before you arrive, get early time because lines form. Fun boat trip over to Grotto. Lots of picture opportunities. " "Excellent experience. Would highly recommend. The blue grotto was amazing. The guide on hte boat was informative. Perfect 2 hour tour. Would do it again! " "Pretty smooth all round. Very pleasant trip in open deck boat with plenty of photo opportunities. Good way to see island before you get on it!" "Great tour with a friendly guide. Amazing views of the whole circumference of the island from the boat. We couldn't see the blue grotto due to rough sea conditions, but this was not company's fault. " "Good boat tour, but this is not a guided tour, as explanations from the driver/guide were too sporadic. Blue cave is overpriced, as it does not require any maintenance. " 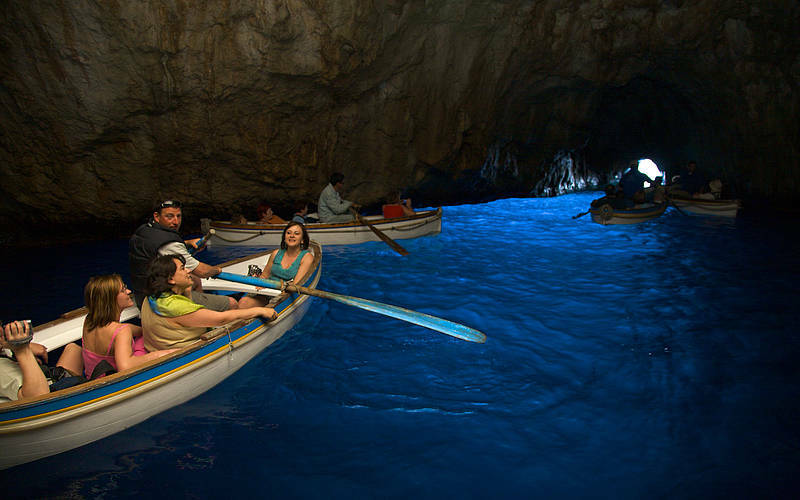 "It worth to go to Blue Grotto as early as possible to avoid long line. Do not miss it, it's beautiful :-)"
"Amazing trip. Friendly helpful guide. Enjoyed it very much. Easy to book. Waited 3 minutes. Super!" "Excellent experience, but the wait time to go to Blue Goratto was too long. It's took 1hr and it was too hot .Except that everything was nice and we had a great time there.I recommended this for sure." "The boat tour was absolutely beautiful and the driver did a circle at all the major picture places so that everyone on the boat got a good picture, no matter where their seat was. Amazing!!!!" "Very good tour around the island. 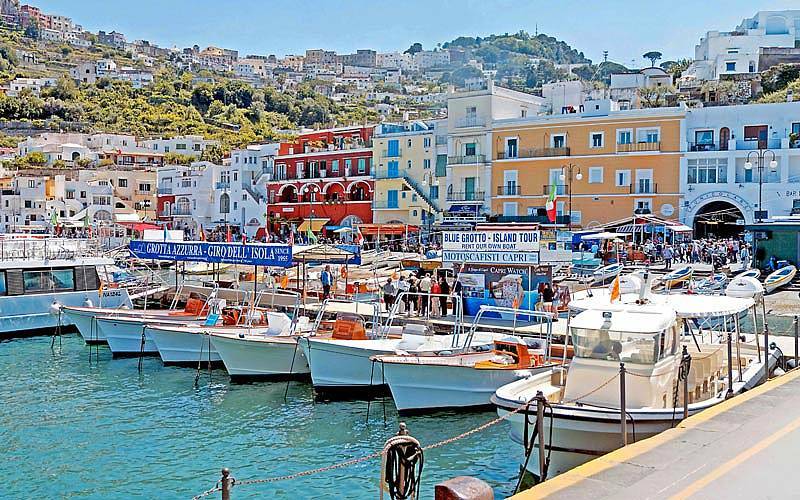 Capri is really spectacular. The only downside was the visit to the Blue Grotto which we were highly anticipating but which did not occur due to high waves. " "Great tour with a friendly guide. Amazing views of the whole circumference of the island from the boat. 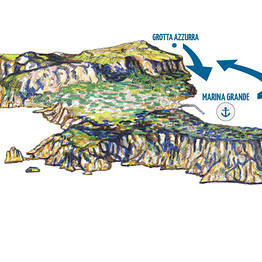 We couldn't see the blue grotto due to rough sea conditions, but this was not company's fault." 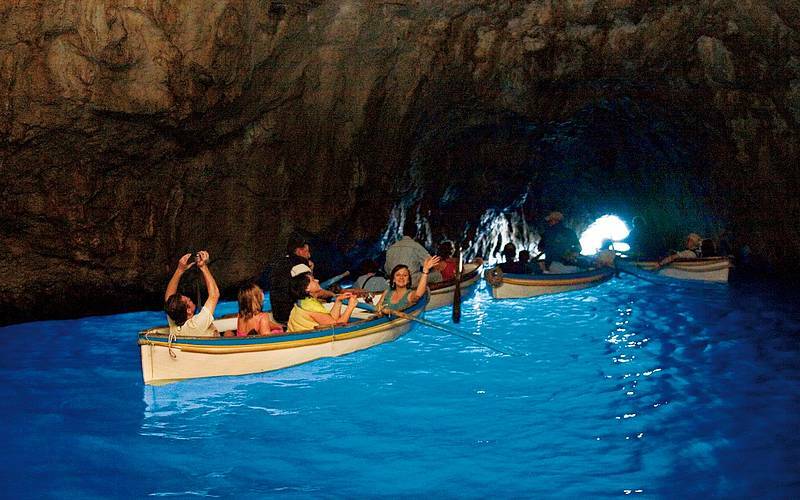 "Blue Grotto was amazingThe yellow line trip around island was well worth it the drivers really control the boat unbelievably but the narration leaves much to be desired. " "Decent enough tour for 17 euros... Was pressured to not take blue grotto stop because of the wait." 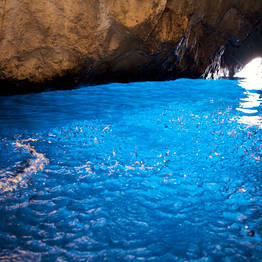 "A pleasant experience, no pressure exerted to go into the blue grotto. Very professional company. They come highly recommended." "The wait to get on the boat was confusing but once in the boat we had a wonderful time. Waited 45 mind at the blue grotto and had the chance to swim in it. Once in a lifetime!! " "We were of the unlucky ones that couldn't go in the blue grotto due to the rough sees, were so looking forward to it, but no ones fault. Boat trip was great way to see the island." "Tour was very awesome in term of price, views and crews, but it would have been more good if guide can tell us bit more about island." "A speaker at the rear end of the boat (upper deck) would be highly appreciated so that in any wind condition the captain's information about the island would be heard." "Great tour. Even if we had the same blue and green waters in greece and cyprus it was fantastic.the captain was great and i appreciated that he cared about the storm coming and took us back on time." "We booked the guided tour, but when we arrived, due to the weather the tour was suspended, we can only visit the blue cave without any money back. Very unhappy because we lost more money." "I loved the tour My partner is not used to the blue sea, so he was impressed. The tour guide spoke Italian, English and attempted Spanish. The crew scared us with the 2 hrs wait to Blue Grotto so skip"
"Thoroughly enjoyable experience. Except that wish we were forewarned about the long wait times.Strongly recommended "
"The tour was beautiful and the process of getting to the boat was simple. It lasts a long time, over 3 hours. The wait at the Blue Grotto was very long, but once inside it was well worth the wait. " 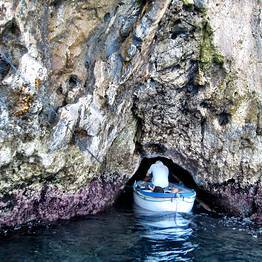 "The tour was nice, but the blue grotto was closed due to same reasosns, and nobody told us. The capitan was the guide...A little bit disappointed. " "Loved it all. 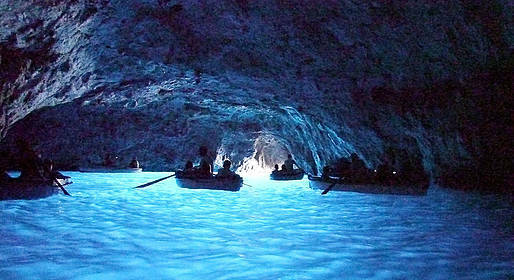 We'd highly recommend the tour & the Blue Grotto experience to everyone. " "Tour guide, Constantino, was great. He literally made the day an outstanding one. Our van driver was always there when we needed him. 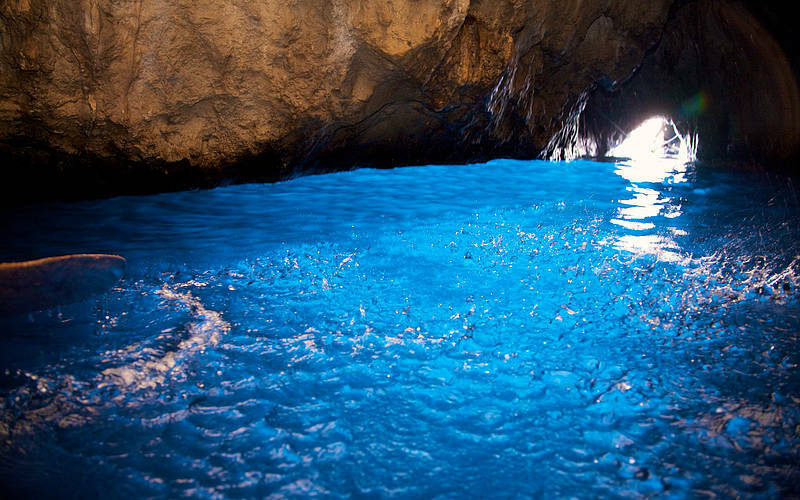 Blue Grotto is not to be missed. Il Riccio for lunch too!" "should provide some shade and water on the boat when you are waiting for 90 min at the Grotto"
BOAT TOUR IS A MUST!